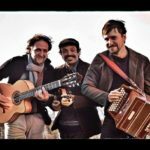 A new collaboration between the Genoese accordion player Filippo Gambetta and classical guitarist Carmelo Russo. 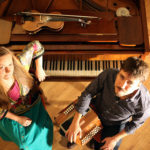 The duo focuses on bal folk dance répertoire proposing both traditional rearranged tunes and original ones. The unusual stylistic blend of the duo is characterised by a mixture of rumba and flamenco sonorities combined with European traditional dance music for diatonic accordion. Carmelo Russo has worked with Jesús Lantermo, Max Manfredi, I Suonatori delle Quattro Province and “Passione Mediterranea” a large ensemble involved in the proposal of his own music. Filippo Gambetta has proposed his music worldwide both in solo, duo and trio; he is also a member of Liguriani, Voyage de Nuit and ChocoChoro, he plays the Brazilian mandolin.